What you're about to witness will excite and thrill you. We'll introduce you to the birthstones, unveiling them month by month. 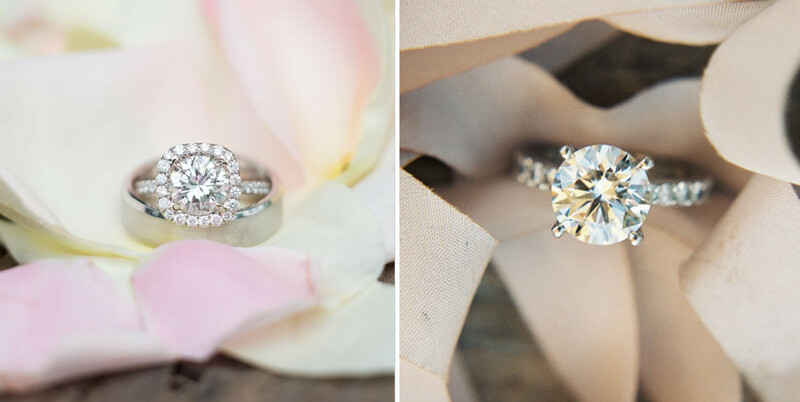 It will come to a surprise how beautiful and gorgeous these rings are. According to old sayings, the gems are also said to bring some physical and psychological effects to the wearer. Whether or not this is true, there's no stopping you from enjoying the finely crafted jewels today. Slide through and tell us which one is your favorite. Garnet has a variety of colors to it; ranging from fiery orange, dark green, and down to the most well-known pyrope garnet. Representing faith, love, and constancy this stone is said to benefit their wearers with increasing will power, self image, and energy level. Originating from the Greek word ‘amethystos’ that means ‘sober’, amethyst is said to guard its wearers against intoxication and brings a sound mind. The jewel itself carries a spectacular purple color that comes in different shades from deep violet to light lilac. 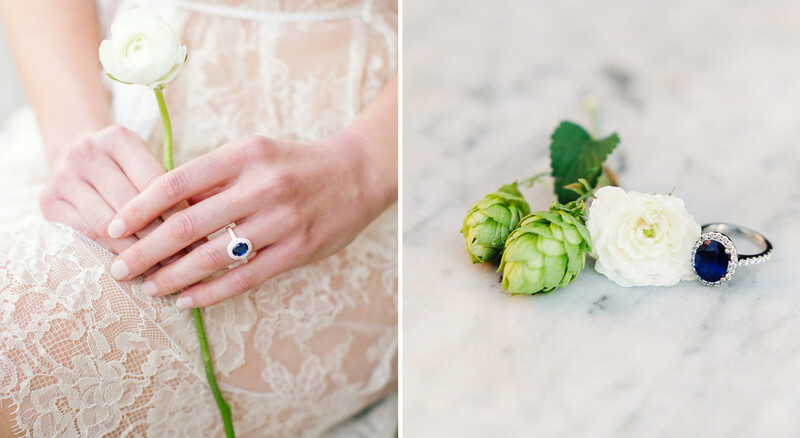 It also signifies peace, temperance, serenity, and loyalty –values every marriage need. 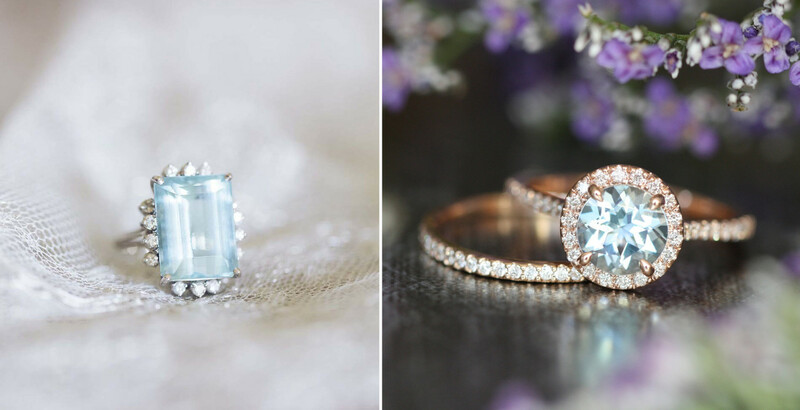 The aquamarine, as its name suggests, has fresh aqua color and has long been a symbol of youth, health and hope. Ancient sailors believed that The Sea God, Neptune has blessed the blue colored stone and wearing it will protect them from rages of the sea. 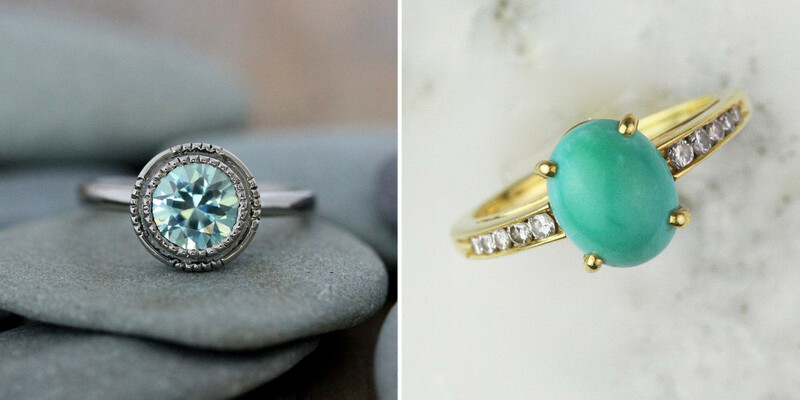 Jewelries adorned with aquamarine will be a perfect accent to summer and spring wardrobe, and of course, your ring finger. In addition to being a symbol of everlasting love, diamonds are believed to bring courage to its beholder, making it possible to endure times of hardships. Clear diamonds are the most common, yet other colored diamonds like yellow, blue, and pink have become increasingly popular these days. It was once believed that the stone could help ward off insanity and the evils associated with it. As for modern day belief, well, it’s a girl’s best friend. Captivating with its vivid green color, emeralds are considered to be a symbol of rebirth and love. They are also said to signify fertility making them perfect for mothers and future mothers. The Ancient Romans dedicates this stone to Venus, the goddess of love and beauty. Today it represents wisdom, growth and patience. 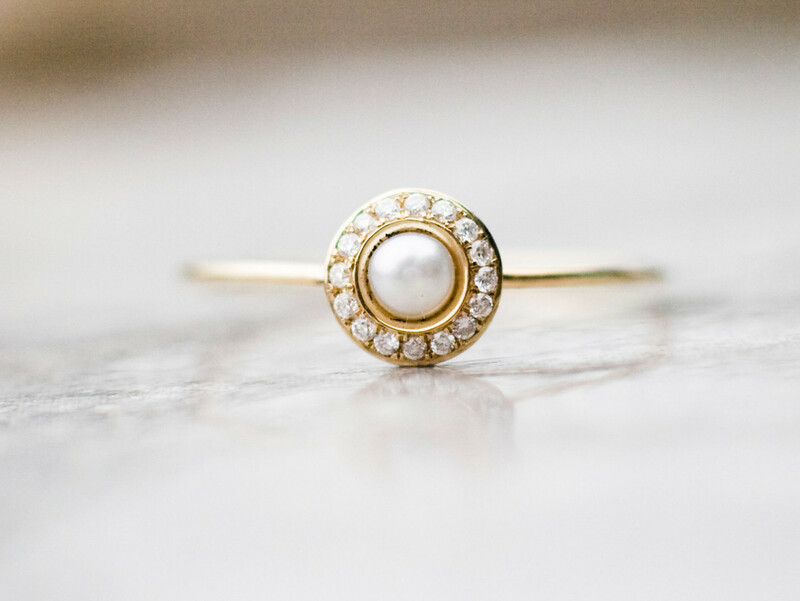 Ancient Greeks believed that pearls were created from the hardened tears of Joy of Aphrodite, the goddess of love. Pearls bring out the idea of purity, chastity and marriage. Their natural beauty makes them consistently popular for centuries and its wearers are believed to have an increase of personal integrity and growth. 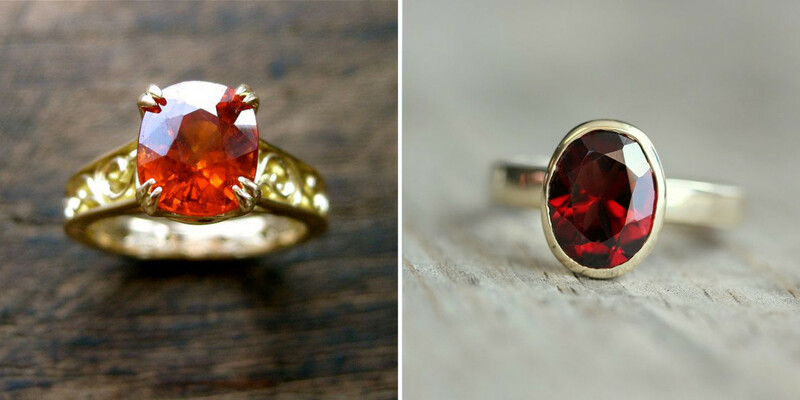 Often referred as the King of Gems, Ruby is believed to signify love, passion, health and wisdom. 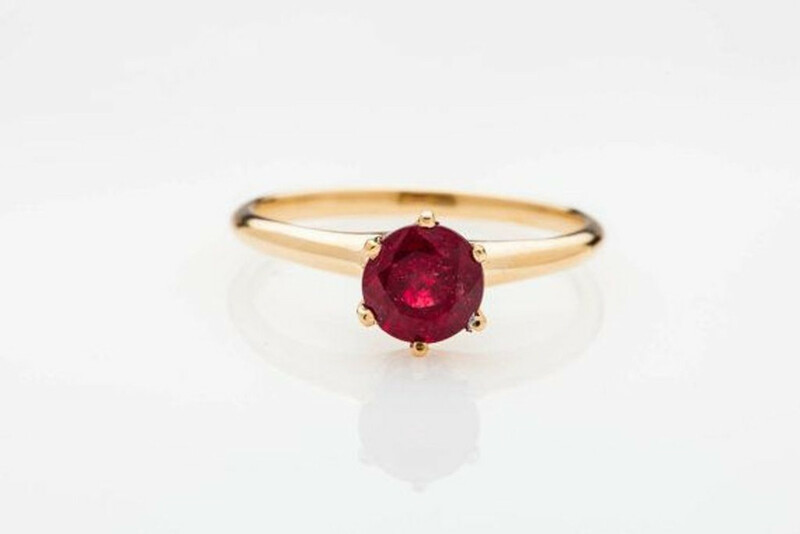 It’s also believed that wearer of a fine red ruby will receive good fortune, strength, and nobility. This stone goes well with yellow, white, even rose gold making it the perfect adornment for a engagement ring. This lime green colored stone is associated with beauty, strength and morality and is only one of few gem stones that exist in only one color. It was believed that peridot crystals found in volcanic ashes are originated from the tears of the volcano goddess, Pele. Often called the evening emerald for its light green color, peridot is also said to instill power and influence as well as protecting wearers from depression, evil and nightmares when set in gold. Sapphire is often associated with strength, wisdom, dignity and loyalty. Commonly found in deep blue color, the stone is actually present in almost every color including pink, yellow, and green. Traditionally a favorite of priests and kings, sapphire was believed to protect those close to you from harm. This jewel reached its peak when The Duchess of Cambridge wore it as her engagement ring – perhaps it will be yours too? This month possesses two birthstones, tourmaline and opal. Tourmaline is a favorite and is intriguing especially with its variety of colors and gradations. Opal is also unique in that each individual gem is adorned with one-of-a-kind color combination. The opal symbolizes faithfulness and is believed to bring confidence, protection from evil and, believe it or not, eyesight protection. While the tourmaline with all its different colors is believed to help with healing processes of the body. 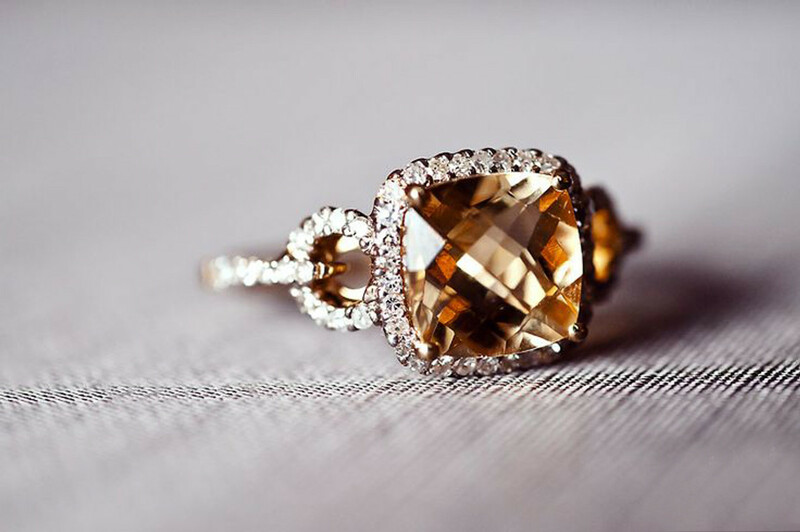 Citrine possesses a warm color and is believed to be a gift from the sun. It’s highly associated with strength and healing for both body and mind. It also offers good mental health for its wearers and putting on citrine can help the beholder keep an optimistic mindset and will help to embrace a positive point of view. Just look at that glow, aren’t you in love? December has three birthstones to choose from; tanzanite, zircon and turquoise. Each of the gems carries a unique blue tone making it suitable for December winters. Turquoise is regarded as a love charm, and is a symbol of good fortune and success. Wearing it is believed to relax the mind and the rings, in particular, are thought to ward off evil spirits. First discovered in Tanzania, tanzanite bears the title of The Stone of Magic and is said to enhance composure, poise, and harmony. The zircon since the middle ages has been believed to aid in spiritual growth and in the promotion of wisdom. The person who wears it, it’s said, will find beauty and peace.